St John’s Chapel roof: removal of lead covering, numbering and dismantling of all oak boarding, rafters, and purlins to expose the C16th cambered beams. These were repaired with oak patches, and steel plate flitches were inserted into the top edge of the beams. 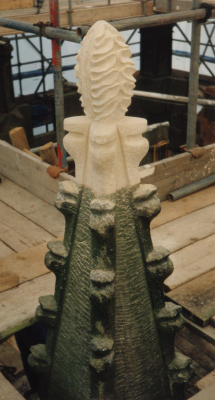 Tower repairs: replacement of the lead roof, cutting out and replacing defective stone work - including carved strap work - and replacement of carved pinnacles. The stone walls of the tower were conserved in-situ, with delaminating surface flakes fixed back with stainless steel pin dowels. New lightning protection was also installed. 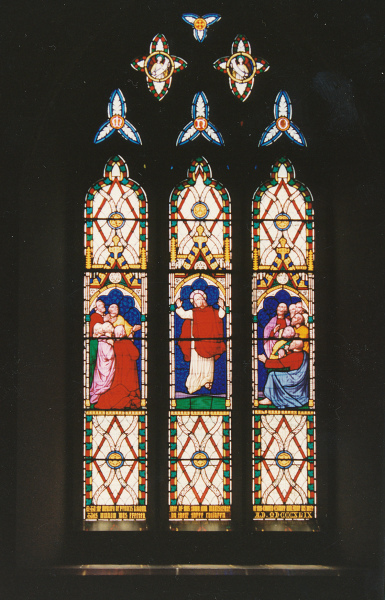 St John’s Project: relocation of the organ and creation of a community meeting room, kitchen and toilet facilities within St John’s Chapel. Oak screens with acoustic glass enclose the chapel. 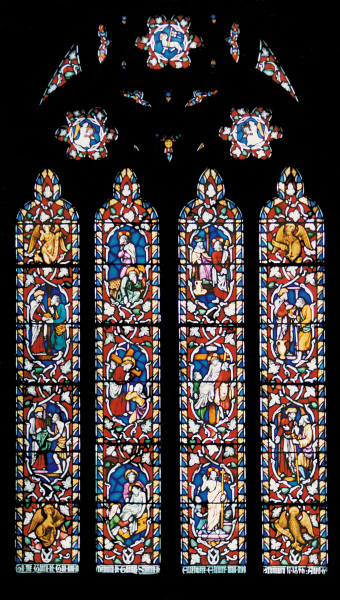 Stained glass windows: replacement of broken stained glass and external guards, with black coated stainless steel mesh.